Cold Chocolate is creating an exciting and unique new sound in the world of Americana: fusing bluegrass and roots with a dash of funk. 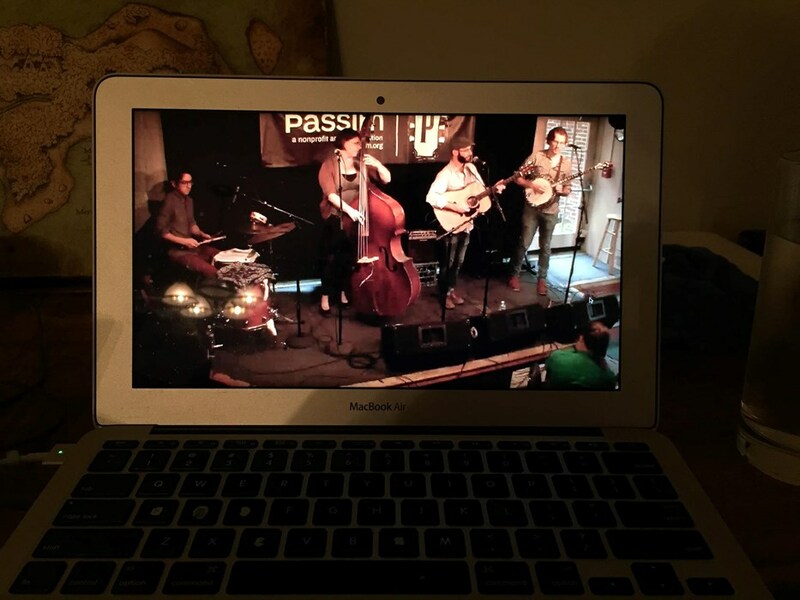 With original tunes and technical prowess, this trio from Boston is rocking audiences with guitar upright bass, percussion, and three-part harmony. 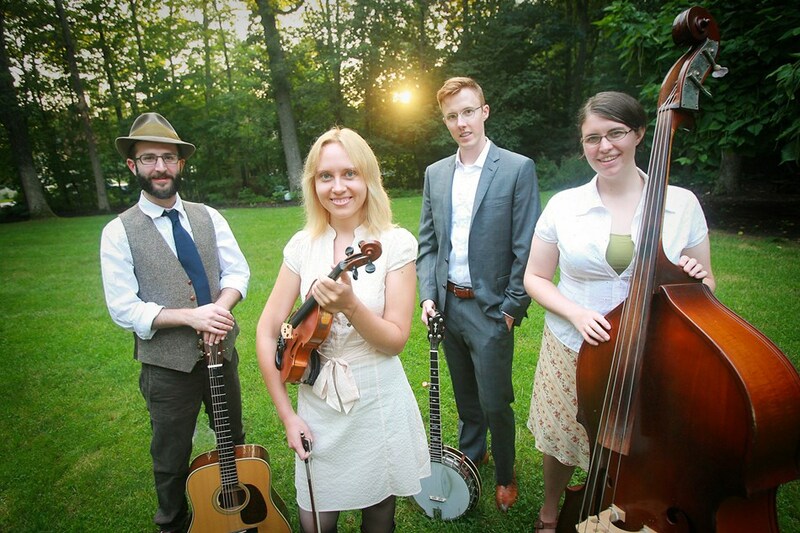 Guitarist/songwriter Ethan Robbins began his bluegrass career at Oberlin College where he met upright bassist Kirsten Lamb and began to explore how this hard-driving fast-paced genre could be stretched. 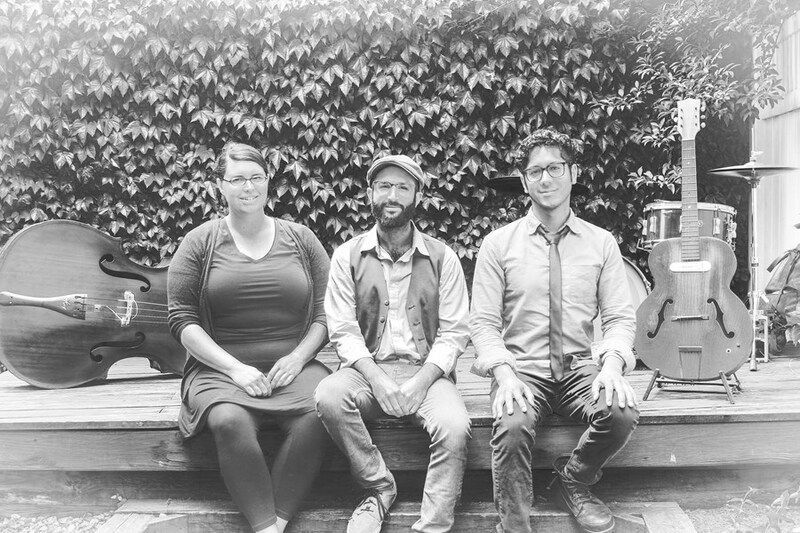 Now joined by the loose-wristed Ariel Bernstein on percussion, Cold Chocolate has established itself as a force in the Americana genre. Per your request, Cold Chocolate can also perform as a quartet with a banjo or fiddle. Cold Chocolate was phenomenal! We hired them for our finale of graduate student orientation, and they are a perfect summertime band. Great music which created just an awesome vibe. Highly recommend. Cold Chocolate were absolutely fantastic! These talented individuals entertained our guests all evening, providing the perfect backdrop to our gathering. I hope to see them again soon! Cold Chocolate played my wedding party, and I was very happy with their performance. The guests all loved their sound, and their fun, dance-y vibe had people on the dance floor all evening. Ethan, the band leader, was very easy to communicate with, and accommodated my request for a substitute female vocalist as Kirsten was unavailable that weekend. All of the band members were professional and friendly, and seemed to have a lot of fun playing together. I definitely recommend them. Cold Chocolate was incredible! Ethan was very easy to work with, and the band learned two songs for us, just two weeks before the wedding day. Everyone at the reception kept remarking how awesome the band was and asking me where I found them. Fabulous music, great energy -- I highly recommend them! From the first email to the last song that Cold Chocolate played at our wedding, working with the band was a pleasure. They were everything that we could have hoped for- the perfect blend of professional and personal. I couldn't imagine better music for our ceremony and everyone was raving about their great bluegrass music after the reception. Cold Chocolate was great. They were able to join us for an event on incredibly short notice and pull off a great performance. They were very flexible regarding repertoire and even location of the show - we were dealing with tricky weather! All in all, heartily recommend the group. Please note Cold Chocolate will also travel to Braintree, Cambridge, Newton, Readville, Brookline Village, Medford, Randolph, Milton, Quincy, Wallaston, Watertown, West Medford, Weymouth, Arlington Heights, Holbrook, Melrose, Nonantum, North Quincy, Waverley, Dorchester, East Weymouth, Hyde Park, Mattapan, North Weymouth, Oakdale, South Weymouth, Waltham, Babson Park, Avon, Canton.